The Situation: The Securities and Exchange Commission ("SEC") has finalized its property disclosure requirements for mining company registrants. The Result: The final rules lessen somewhat the proposed rules' compliance burden but may add some uncertainty for registrants. Looking Ahead: The final rules constitute the most substantive update to mining company disclosure regulations since at least 1982. While registrants will not be required to comply with the new rules until their fiscal years beginning on or after January 1, 2021, registrants may voluntarily comply before then, and many registrants will need to significantly change their disclosure processes over the next two years. In July 2016, the SEC proposed rules designed to simplify the U.S. mining company disclosure regime. 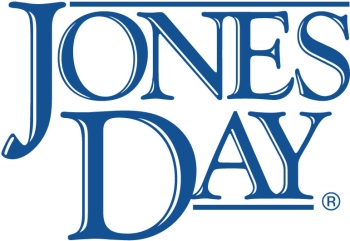 As Jones Day noted in its previous Commentary, the proposed rules sought to better align that regime with requirements of other jurisdictions and consolidate disclosure requirements spread across Item 102 of Regulation S-K, Industry Guide 7, and SEC interpretive guidance into a new subpart 1300 of Regulation S-K. In addition, the proposed rules attempted to more closely align the SEC requirements with those of the Committee for Mineral Reserves International Reporting Standards ("CRIRSCO"). On October 31, 2018, the SEC finalized the rules for mining registrants' reporting requirements in Release Nos. 33-10570; 34-84509. In response to public comments, the SEC revised or eliminated some of its June 2016 proposed rules in its final rules while adopting others without revisions. For example, the SEC did not revise the proposed rules as they applied to foreign private issuers. The final rules adopt amendments to Form 20-F requiring foreign private issuers using that form to comply with the consolidated and revised mining disclosure and technical report summary requirements described below. This requirement also applies to Canadian issuers that are not eligible to use forms under the Multijurisdictional Disclosure System ("MJDS"). The final rules continue to permit Canadian registrants that are MJDS-eligible to provide mining disclosure that satisfies the requirements of Canada's National Instrument 43-101. In general, these changes seek to lessen the final rules' compliance burden placed on the registrant's qualified person in fulfilling his or her duties. To ease the costs of compliance, the final rules include a two-year transition period, and mining registrants will not be required to comply with the new rules until their first fiscal year beginning on or after January 1, 2021. The Type of Commodity Price Information a Qualified Person Can Use to Assess a Property's Economic Prospects. A "qualified person" may use a forward-looking or historical commodity price—if that price provides a reasonable basis for establishing the prospects of economic extraction—when assessing the economic prospects of a property's mineral resources and mineral reserves, as mandated in the final rules. The proposed rules would have required the commodity price used in the assessment to not exceed the average price for the preceding 24 months, with certain exceptions. Note that the definition of "qualified person" did not change from the proposed rules. How the SEC Deems a Mining Operation to be "Material." The SEC no longer presumes that a registrant's mining operation is material according to a quantitative measure. Consistent with the proposed rules, the final rules incorporate the materiality threshold found in the Exchange Act Rule 12b-2 and Securities Act Rule 405, pursuant to which a matter is material if there is a substantial likelihood that a reasonable investor would attach importance to it in determining whether to buy or sell securities. The final rules eliminated the provision of the proposed rules that presumed materiality if the operation consisted of 10 percent or more of the registrant's total assets. How and to What Extent Multiple Mining Operations Must Be Disclosed. For registrants with multiple mining properties, the final rules include summary disclosure requirements that are less prescriptive than those proposed. For example, the disclosure requirements for properties that may be individually material will now more closely align with CRIRSCO standards. Additionally, the disclosure need not provide specific items of information concerning a registrant's top 20 properties by asset value in tabular format, as the proposed rules required. When Technical Report Summaries Must Be Filed. To address commenter concerns regarding one of the SEC's proposed requirements—that registrants file technical report summaries as exhibits to SEC filings for mineral resources and mineral reserves—as unduly burdensome, the final rules provide that registrants are required to file these technical report summaries only when either they first disclose mineral resources and mineral reserves or when there are material changes to these resources or reserves from the last summary filed on material properties. Additionally, the final rules permit, but do not require, registrants to file technical report summaries for exploration results. Qualified Person Expert Liability Under Section 11 of the Securities Act. The final rules provide that qualified persons will not be subject to expert liability under Section 11 of the Securities Act for findings and conclusions regarding a registrant's marketing plans, legal matters, environmental matters, a registrant's accommodation plans for local individuals, and governmental factors ("modifying factors") discussed in the technical report summary or other parts of a registration statement. This is valid as long as the qualified person indicates these findings and conclusions are based on information provided by the registrant. Importantly, however, the final rules do not provide a qualified person with a complete exemption from expert liability under Section 11 of the Securities Act; the rules provide an exemption only where the qualified person relied on these modifying factors. The new qualitative materiality standard for mining operations may cause some uncertainty, and registrants should begin to consider which mining operations would be deemed material under the new standard. Registrants should begin to identify potential qualified persons, particularly in light of the new liability exemptions. Registrants should determine a timeline for when they will comply with the final rules, remembering that compliance is voluntary until their first fiscal year beginning on or after January 1, 2021.